On Friday, January 18th, we’ll honor the legacy of Dr. Martin Luther King, Jr., and his partnership with Jewish rabbis and leaders during his lifetime. 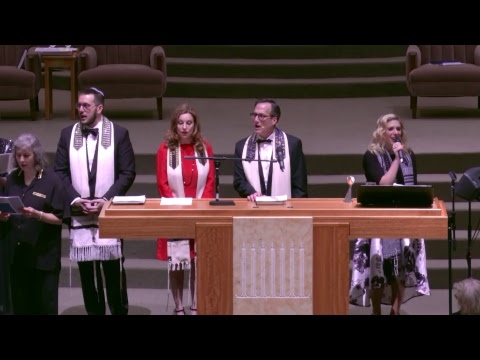 To amplify our voices, Cantor Trompeter, International Voices Houston, under the direction of Mark Vogel, and our own CORE singers, will participate in our worship service. More than 80 men and women will be seated on the bimah. Together, we’ll lift up our hope and prayers for values that are foundational to our faith and future. Dr. King said, “Injustice anywhere is a threat to justice everywhere,” and, “Our lives begin to end the day we become silent about things that matter.” His words are unique, but not unfamiliar. Injustices and horrors are part of Jewish history, too, and we have long memories. When Dr. King and rabbis, like Abraham Joshua Heschel, marched in Selma, and when Christians and Jews assembled to protest all manner of inequality and racism, they borrowed from sacred teachings that have endured longer than any hate speech or dictator. In 2015, after the church massacre in Charlottesville, S.C., my editorial was published in the Houston Chronicle. Here is the bulk of that editorial and its message for us just years later. “Faith has led to many wonderful achievements; but, left in the wrong hands, faith fails unquestionably. In the Abrahamic traditions, the One God is a universal “father” in whose acts of creation we are all the progeny of one first man and bound by ethics that are not relative nor trivial. Our pathways to the One God are particular, but they are not exclusive. Our pathways are as diverse as the people who are on them. In the wrong hands, we err when we use the Hebrew Bible, the Christian Bible and the Koran as eternal law codes. At best, they are human words inspired by faith that guide us to their highest ideals for love between human-kind and love between us and God. We ascribe to these words a sacred quality due to their remarkable journey from ancient times down to our own. Having succeeded in reaching us, the obligation of the faithful is to discern from their ancient and translated syntax and context the greatest lessons for our times. Today, we have more understanding about the natural world than any generation before us. We have defined universal boundaries for crimes against humanity, and we know that 2,000 year-old prohibitions against some sins bear little if any resemblance to the environment in which we think we find them, today. The evolution of human thought that came from individual and social aspirations for knowledge and understanding was supposed to help us conclude that perspectives on human equality, racial, sexual, religious, etc., evolved, too. It isn’t enough to thump our Bibles to point at our claim on divine understanding and ultimate authority. Faith in the right hands was never supposed to provide only the right answers. Faith in the right hands was always supposed to provide the right questions. Our sacred books filled with ancient words in translation take us on a journey of history, sociology, religious thought, economics, sexuality and other subjects that should pique our curiosity constantly. From the right questions usually come the best answers for a time and place. The sacred quality of our Bibles is in their enduring ability to raise timeless questions for every generation so that they can find answers that enable them to maintain not an ancient standard of times gone-by, but benchmarks that reveal the greatest human freedom and potential ever known to humankind. Racial, religious and sexual discrimination was wrong long ago; but, in our time it should already be anachronistic. Where was God [in Charlottesville]? It’s the wrong question. The right question is: Where was humankind? Where are the people who wield the power to make a difference in gun violence prevention and mental health care in our country? Where are the parents, teachers and preachers who are asking the wrong questions and repeatedly teaching the wrong answers about diversity, racial differences and sexual orientation? The world isn’t growing less complex. Let’s stop building walls around us to protect the present against the future. For the first time in history, our children are growing up in a world that we’re learning about from them through technology. But, the best lessons about how to address the world’s complexities, technologies and stubborn prejudices are still found in books of faith bequeathed to us from ancient peoples who also struggled with matters of the human experience. Bring your children, grandchildren, and friends to Sabbath services on Friday night, January 18th, at 6:30pm in the sanctuary of Congregation Beth Israel. Together, we’ll lift all our voices. Let’s be inspired to lead. Let’s build our future on the best that faith has entrusted to do and to be.